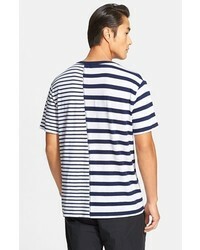 If you're after a casual yet on-trend outfit, consider teaming an Alexander Wang t by mixed stripe linen cotton t shirt from Nordstrom with navy chinos. As well as totally comfy, these items look great together. 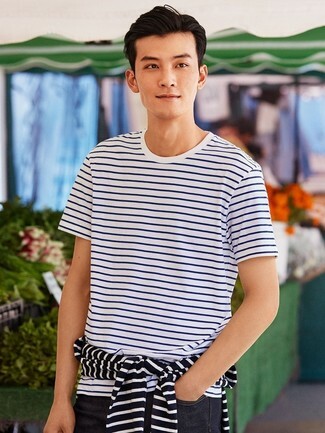 We're all seeking comfort when it comes to dressing up, and this combination of an Alexander Wang t by mixed stripe linen cotton t shirt and blue jeans is a great example of that. Sporting a pair of charcoal plimsolls is a simple way to add extra flair to your getup. If you're all about practicality dressing when it comes to your personal style, you'll love this on-trend pairing of a white and blue horizontal striped crew-neck t-shirt and blue jeans. Kick up the cool of your outfit by wearing burgundy leather derby shoes. If you're searching for a casual yet dapper getup, opt for an Alexander Wang t by mixed stripe linen cotton t shirt and khaki chinos. Both of these items are very comfortable and they will also look incredible when worn together. 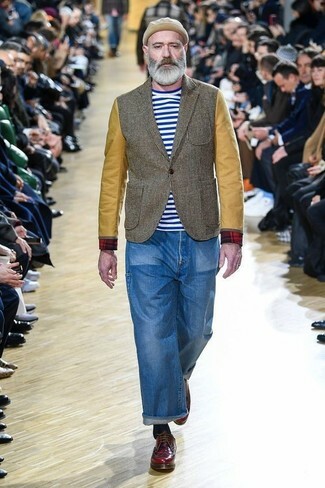 Look at how well this look pairs with white low top sneakers. 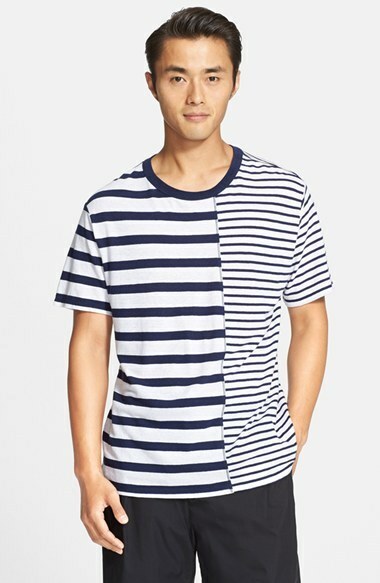 If you're on the lookout for a casual yet stylish getup, marry an Alexander Wang t by mixed stripe linen cotton t shirt from Nordstrom with pink chinos. These two pieces are very comfortable and look amazing paired together. When it comes to footwear, this ensemble is finished off nicely with blue low top sneakers. 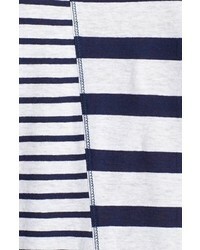 If you're all about practicality dressing when it comes to fashion, you'll love this on-trend pairing of a white and blue horizontal striped crew-neck t-shirt and navy jeans. 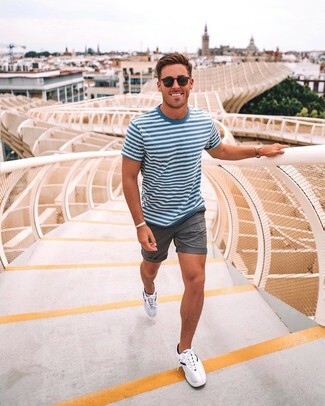 For a look that's pared-down but can be styled in a variety of different ways, reach for a white and blue horizontal striped crew-neck t-shirt and grey shorts. For a more laid-back take, complete your outfit with white athletic shoes. 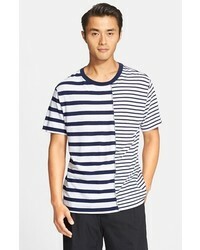 If you're a fan of comfort dressing when it comes to fashion, you'll love this simple pairing of an Alexander Wang t by mixed stripe linen cotton t shirt from Nordstrom and charcoal shorts. When it comes to footwear, this getup is finished off perfectly with white low top sneakers.